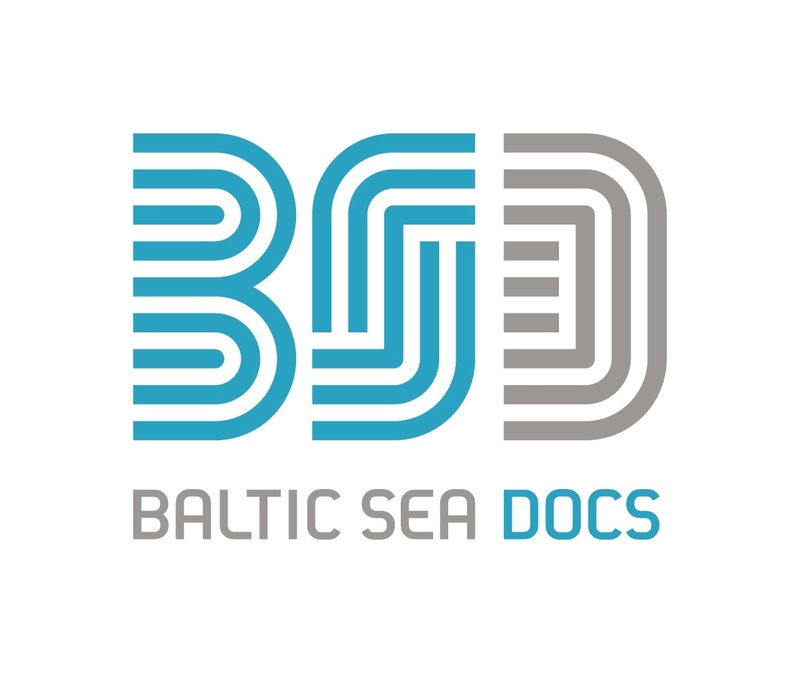 Schedule of all the events of Artdocfest / Riga and Baltic Sea Forum for Dumentaries 2018. Download the schedule in .pdf. In Roman mythology each place had its own deity – genius loci. In Soviet mythology a deity universal for all parts of the USSR replaced all the local geniuses. 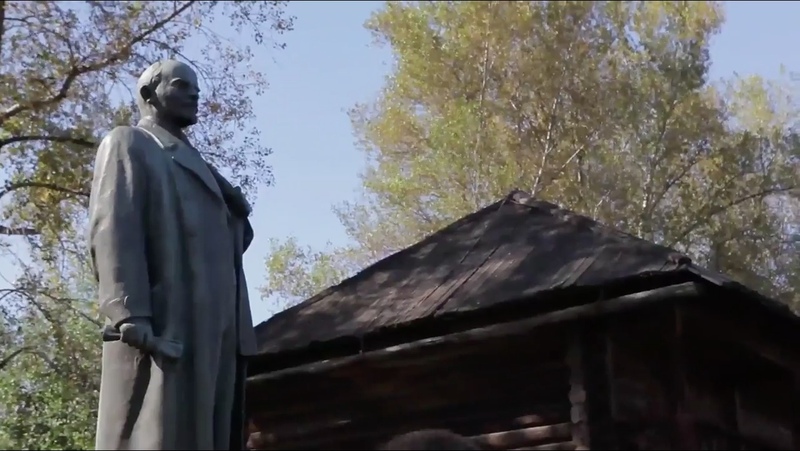 No matter where you were, the main square of a town was adorned with a monument of Lenin. A bronze, concrete or gypsum Lenin could be found in a park or a residential courtyard, next to a factory or a school. However, the leader of the proletarian revolution wasn't installed just anywhere. In a brochure “On Lenin's monument” (1924) it says: “A monument to Lenin should not only occupy the best location in town, but also the one where its appearance contradicts Leninist ideas the least”. The stone Lenin was to “see” his commandments being followed: improving workers' living conditions, abolishing illiteracy, deploying socialist competition and building Socialism. In turn, with his very presence, Lenin impacted the surrounding area in a positive way, confirming that this place was closer to the “bright future” than others. Flower gardens were installed, flags were erected and blue spruces were planted around the monuments. The surroundings of Lenin's monuments were especially well groomed. They were a kind of time portals into the Communist era. We aim to show what these “pockets of future” look like now. What do Lenin's eyes see today? And how do the descendants of Communism builders feel about Lenin? 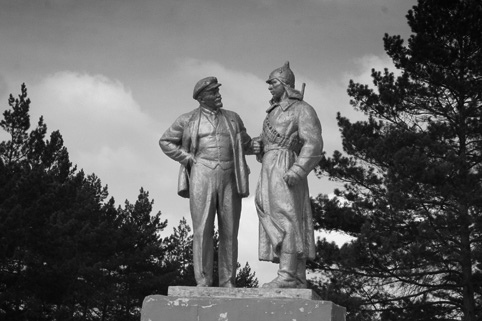 The film will consist of 12 chapters dedicated to 12 of the monuments that can still be found around the former USSR. Length: 18 episodes x 10 min. “Lenin Trip” is a search for the documentary authenticity of the modern Russian mental space, in all its cultural, ethnic and climatic diversity. “Lenin Trip” contains 18 documentary series on the internet (10 minutes each) about an ethnographic journey across all of Russia on the Trans-Siberian Railway from Vladivostok to St. Petersburg. Russia is a huge country, the scale of which is sometimes difficult to comprehend even for the most experienced travellers. Therefore it is not so easy to answer the question: “What unites the inhabitants of this multinational country?” In each city and every village, travellers ask several local residents about who Lenin is, what did the revolution bring to the country and how do these people feel about the idea of ? ?burial of the body of Vladimir Ilyich. It is up to the participants of the film expedition to find out how people of different regions live today and what do they think about the past of the country. Yesterday's orphanage kids have received new apartments and begin their independent life. Some of the young kids have literally been raised by a closed-type social institutions. For the first time ever they receive relative freedom of movement and money. New building of New Moscow. Here they have distributed one room studio-type apartments to the kids. They are now all neighbours. Social workers still come visit them as before – they arrange furniture from IKEA and check their refrigerators. They leave icons and some books on the windowsills. The kids live on these few square meters like in common barracks. The only food they have is vodka. Sasha and Lesha have found work in a construction site for 10 thousand rubles. Lesha has the habits of a juvenile convict and teaches Sasha how to live. 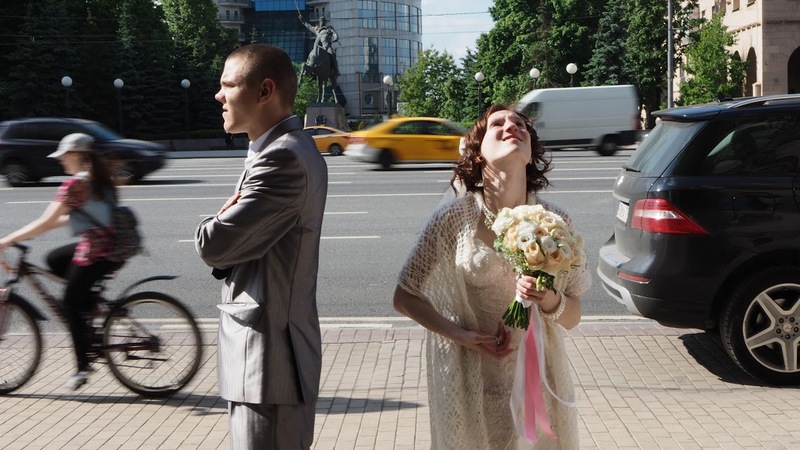 Sasha was not mature enough, and he marries right after the graduation with a girl who got pregnant by him a couple of years ago. The baby is always in the crisis center for teenage moms “Little Mama”. The name of the bride is Nina. She also is an orphanage kid, coming from an underprivileged family. She has only 35 kg bodyweight, but commands Sasha around and does not become shy with Lesha. She has serious birth scars on her face. In the summer, she plans to do a plastic surgery and change the passport. Unfamiliar pensioners have collected 4 thousand rubles, and Sasha celebrates a wedding using this money. He takes Nina to his apartment where there are other boys and the mess. In the autumn their son will be discharged from the Center and they will have to live together. In the meantime, they are arguing in Sasha's one room apartment – where to put baby’s bed. By the way, in connection with their family, scammers have already stolen from their accounts money for a total of 1.3 million rubles. But they do not worry, because they hardly understand how much everything costs in stores. Until now, other people were always doing everything for them. And now they, like once before, are again left to face their new life alone. For almost 4 centuries of its existence the Russian city of Sol-Iletsk has learned to do only two things: to get salt and to guard prisoners. Both are done at the highest level: no criminal managed to escape from the local colony of special regime, and the salt is recognized as the best in the world. Since the 90’s, the salt lake opposite the largest life sentence colony in Russia began to attract the holidaymakers. At the first glance, such different places cannot co-exist so close to each other, literally, in the neighbouring streets. People who come here on vacation pretend not to notice the barbed wire across the road. And it’s better not to know that the most dangerous people in the country occupy the other side of the road: the Chechen terrorists, serial murderers, maniacs, paedophiles and cannibals… In this city everything is intertwined. 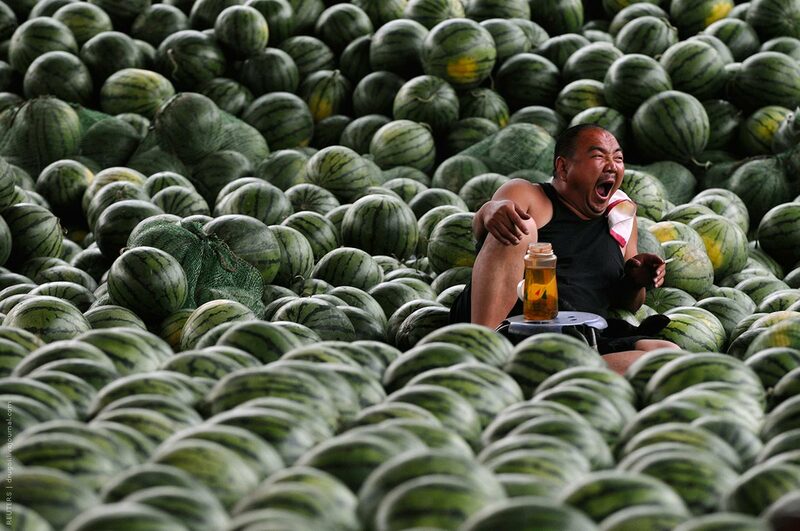 The colony is gradually becoming one of the tourist attractions, and the resort – at least in some way – fulfils the commercial ambitions of the prison administration, because prisoners themselves produce many goods: watermelons, bread, kumis, and souvenirs. How is this strange life going on? How does the colony affect the city and the resort? And what will happen to this place when the full-scale federal construction of a resort base is done? What allows a person to say: I am from here, this is my land? What binds a person to this particular place? Look at all the nationalities who have lived in this area: Finnish-Ugrian, Baltic, Slavic people. What about now? The film immerses us into life at a small dwelling near Moscow. What about now? In the focus of attention there are two houses: they look at each other with their windows – they are two worlds. One house is occupied by an elderly couple: she is a teacher, he is an engineer, he always does something. In the other – large family of Mahmud – an immigrant from Tajikistan. How are relationships between them developing? We are immersed in the life of these two worlds, in their destinies. Tajiks fled the civil war. They bake cakes and sell “nosvai”. The eldest son, Muhamed, does not go to school because he does not know the language. And he begins to go to the neighbour – the teacher instead of the school. The old teacher also has her own story, her own destiny. Her mother came to Russia from Vienna – to build communism. Tajik people are evicted from the house, and the old people are left alone. The new owner of the property, the pastor, is building a fence between the houses. Once upon a time the residents of high-rise block buildings in the vicinity of the park Torfianka came here to play with the children, go for a run or take dog for a walk. Today, these peaceful activities have become less important. After the Russian Orthodox Church announced its intention to build a church in the park, the residents of the neighbourhoods have split up into two enemy camps. Confrontations of civil activists and supporters of the Russian Orthodox Church have turned into a struggle of life and death. Night duties, crowded rallies, fights and arrests have become a habitual part of life for the residents of this area. 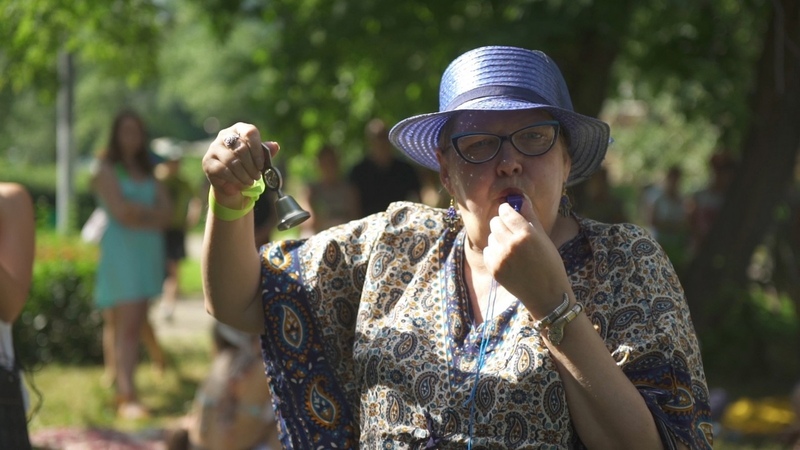 Every Sunday, believers come to the park to serve liturgy and chant prayers together with an Orthodox priest and with a well-coordinated team of well-trained Orthodox fighters. Residents of the district turn on loud music and arrange a “dancing protest”, defending the right to preserve the park as a secular space, open to all. Was it possible to imagine such a collision in Moscow just a couple of decades ago? The struggle for the park has become a turning point in the life of activists from both sides. The Torfianka forced them to take a fresh look at their neighbours, at the power and the country. Amid the ruins of an abandoned California mercury-mining town, Quicksilver Chronicles follows daily lives of outspoken and gifted writer Kate Woods, her brother Kemp, and their friend Tommy. The film observes them within the context of their home in New Idria, which is a rugged wilderness, an environmental disaster, and a dell for lost souls. After 20 years as a mariachi violinist, an accident left Kate unable to play music and coping with chronic pain. She is fiercely independent, emotionally vulnerable, and most at home on her ghost-town ranch, where she cares for her pets and brother. She dedicated her later years to environmental activism, drawing political attention to the damage left behind by the mining company. Kate’s brother Kemp is a geologist and inventor. He originally bought land in the abandoned town to construct an experimental anti-aging bunker and later invested in a mining claim to extract the rare mineral Benitoite. Between struggling with health issues and recalling his extraterrestrial encounters, he sells gems and minerals to visiting students. Childhood friend Tommy Chargin has studied visual arts and worked as a homicide squad photographer, later becoming master printer for famous portraitists such as Annie Leibovitz. Bluntly opinionated on his field, he critiques Susan Sontag’s writing and praises the mystical landscapes of photographer Minor White. The three garrulous companions navigate rural isolation, talking about astrophysics and existence and connecting through TV to the country’s changing political climate. In 2017, while the film was in production, Kate was killed in another car accident. Her death and absence made evident how much life and energy she had brought to New Idria. The film is a portrait of her last year. Mila has been diagnosed with tongue cancer. It is an aggressive and dangerous type of cancer that requires immediate action and a painful treatment that mostly starts with a surgery – the resection of the tongue. Mila is an actress and a director and this diagnosis is a great shock for her. Instead of the traditional path she decides to go to Peru and try an untraditional treatment in the Amazon jungle of Peru. She also decides to make a film about her healing process. The story starts from the day when Mila was diagnosed and we follow her through the process of her treatment and until she gets back home. An important role in this film plays the shaman Don Lucho and his helper and caregiver Erika as well as the Russian guide and ethnographer Anatoly who stays with Mila all three months that she spends in the jungle. A theme line of the film obviously is the huge desire to get cured and the fight to achieve this goal. In addition to that this film is saying a lot about the faith in getting healed and about possibility to be happy filming and enjoying life even in this tough life situation. We want to emphasize that Mila herself was the one who first came up with an idea of making this film about her. The footage is partly taken by her and mostly by director and her daughter Nastia Korkia. It is already four years since Ukraine is at war. People are tired of the situation and want to live in peace in their family, city and country. The leap from a peaceful Ukraine to a war zone country was very quick, and everyone understands that the road back will be much longer and harder. 12 hours and 30 minutes divide Kiev, the capital and the main Ukrainian metropolis, and Konstantinovka, a small industrial city in the East of the country, after which almost immediately begins the frontline. 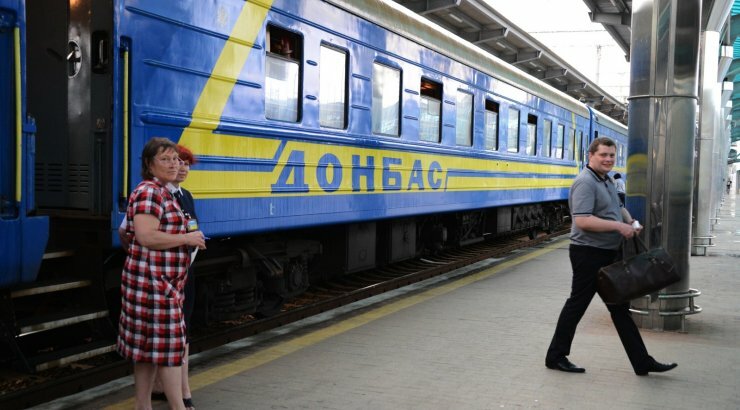 12 hours and 30 minutes is exactly the travel time of the speed train “Kiev-Konstantinovka”, known among Ukrainians as “Kiev-War”. We want to give voice to people that have to go from peace to war, to share their thoughts and emotions, and to people who are travelling back, from war to peace. We want to hear what their vision of the future is and how to achieve peace after the war. “The “Oblat” is a person who dedicates his life to the service of God, following a certain Christian monastic tradition, but not becoming a monk at the same time. The Oblats can also make wows that are identical to monastic vows.” 70 years old oblat Anatoly of the Cistercian Order is an artist-conceptualist, in the past – a dissident who fled from Soviet Ukraine and once upon a time gave a vow that every day he will find something good, learn something new and create something new with his own hands. Now when he is traveling to the zone of military operations in Ukraine with a humanitarian mission, he still is obliged to keep his principles. Observing and realizing the nature of the war, he had the idea of ? ?telling the children about it in a language that would be understandable for them. 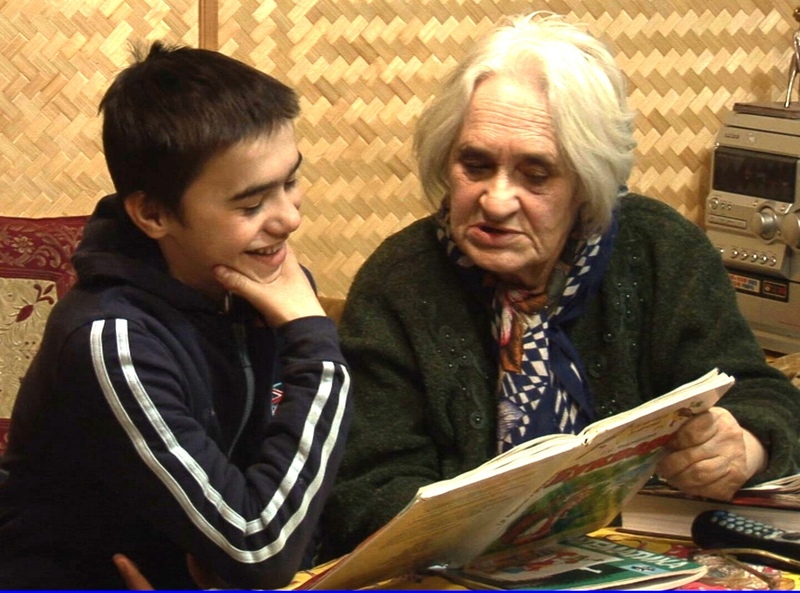 With a fundamental understanding of the educational possibilities of traditional toys and fairy tales, Anatoly created a wooden horse – a symbol of the volunteer – that helps all who need help. In his journey through Ukraine, he scrupulously collects real stories from the war, which will form the basis of the fairy-tale adventures of the Horse. We accompany him in these searches and observe how right before our eyes the brutal and gray war turns into a touching story for children through the imagination of a wise narrator.